Do you need to upgrade your Contact Centre? Learn more how we can help with our Contact Centre needs. Connect has a unique approach to Solution Design. Our team is responsible for providing existing and new customers with effective solutions and ensuring these solutions are scalable and adaptable for the future. We understand that you are looking for technology services that not only reduce cost, but are adaptable and in tune with your existing environment, business processes and staff requirements at all levels. All our solutions start with an open discussion with your relevant teams. The discovery sessions are used to gain a full understanding of your current environment and to listen to your needs and requirements. All requirements are documented so our Solution Architects can liaise with our implementation and support engineering teams to gain a wider view on the overall project. We produce a technical document that provide you with a clear understanding of the Solution Design that is being proposed by us. The documentation will clearly detail any equipment that is being provided and advise on any other considerations or expectations. Our Solution Architects are not only skilled in product solutions, but have an expert understanding of Managed Services. Connect understands that you need flexible and adaptable support services that allow you to take comfort that your estate will be proactively monitored by our monitoring tools and support team. Connect welcomes the opportunity to provide you with guidance and expertise when your technology needs are challenging. We provide consultancy sessions or workshops at your premises or we can host you and your team at our head office where we have an extensive lab and test environment. Our Solution Design team holds the highest levels of accreditation required by our Vendors in order to provide design expertise across multiple technologies. The Connect Solution design team is unique. We are vendor agnostic to ensure your design provides you with all the relevant functionality and user experience you need, as well as a product roadmap for the future. We have a wealth of knowledge on legacy estates and current VoIP network deployments. 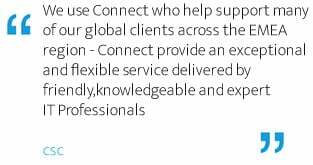 Connect has an unparalleled understanding of enterprise communications estates. Whether you require an upgrade, migration, replacement or integration, we can help. We have the in-house ability to provide Solution Designs that will enhance any business. 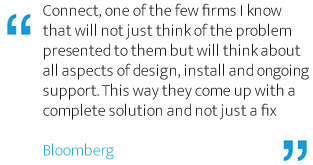 Contact us to see how we can help with your Solution Design requirements.